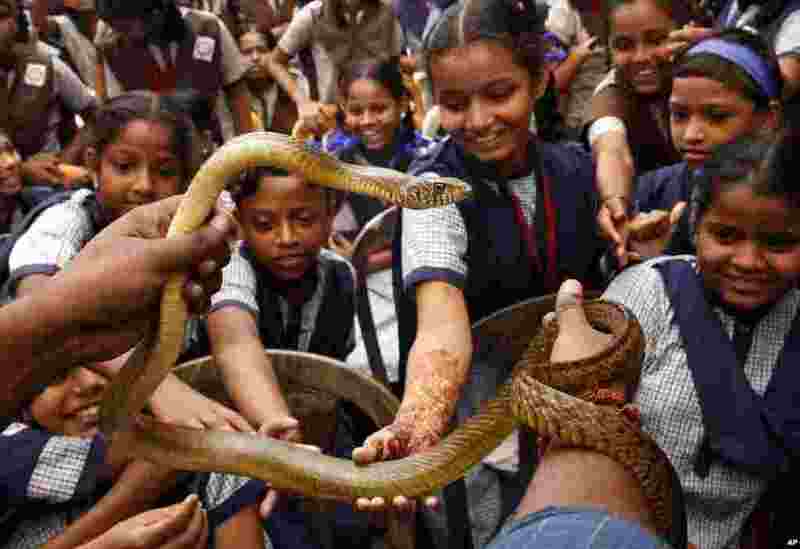 1 School children try to touch a snake during an awareness program on Naag Panchami festival in Mumbai, India. The Hindu festival of Naag Panchami is a day dedicated to the worship of snakes. 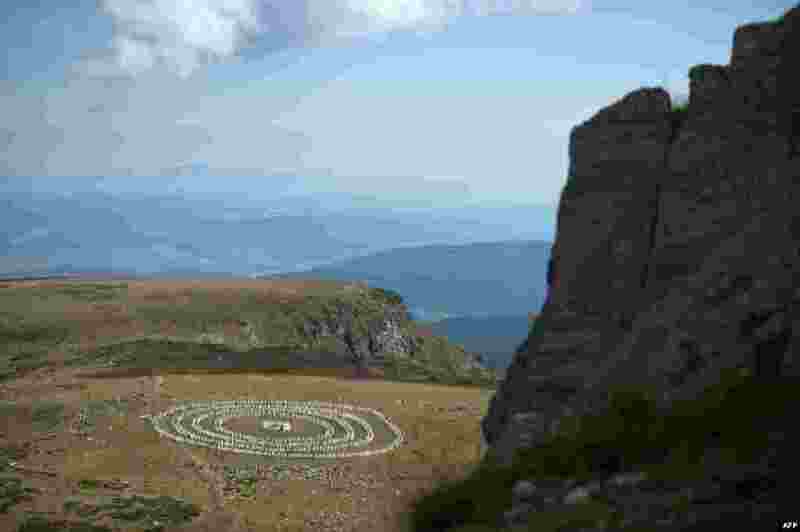 2 Members of an international religious movement called the White Brotherhood perform a ritual dance on the top of the Rila Mountain, near Babreka lake, Bulgaria. 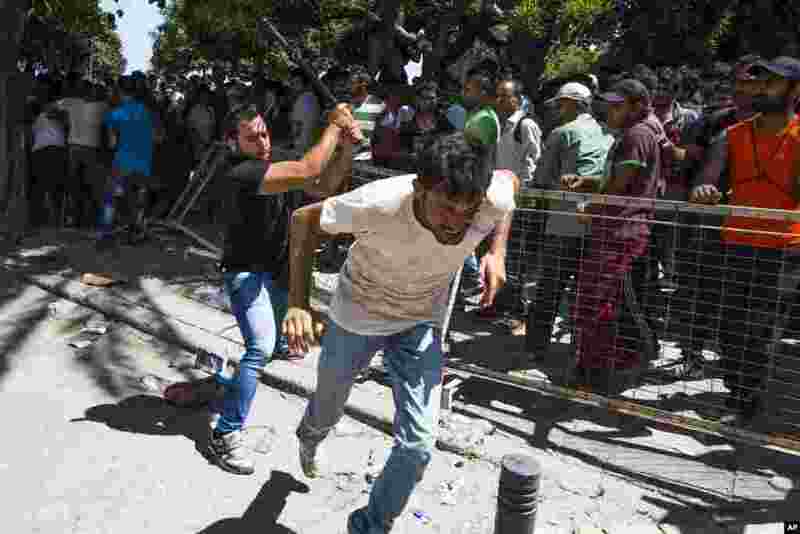 3 A Greek plain clothes policeman chases away Pakistani migrants as they started shouting while waiting to be registered near a police station at the southeastern island of Kos, Greece. 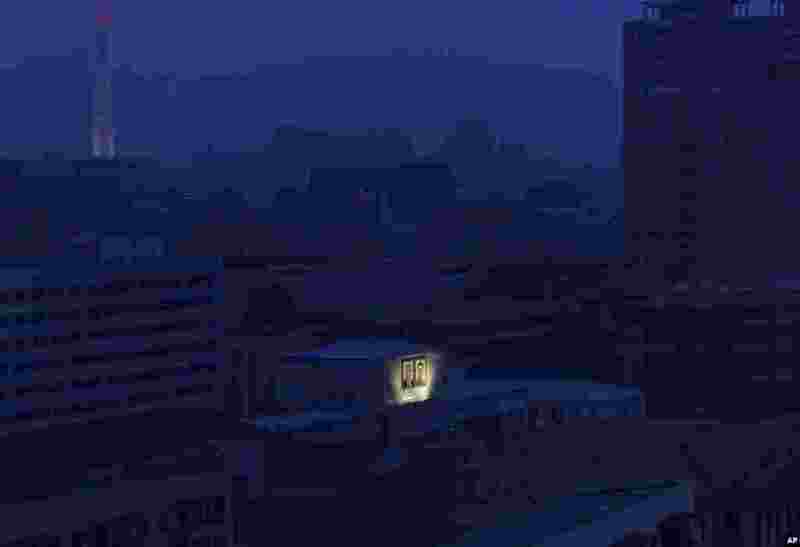 4 Portaits of the late North Korean leaders Kim Il Sung, left, and Kim Jong Il glow on the facade of a building as the Juche Tower, top left, one of the city's landmarks, is seen in the background at dawn in Pyongyang, North Korea.